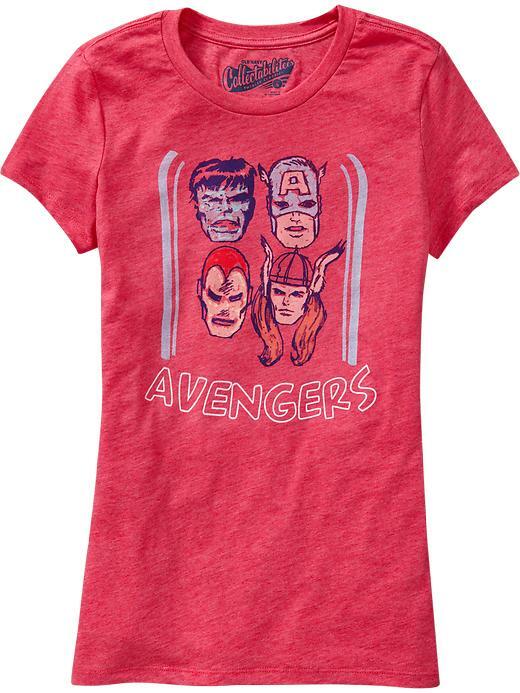 I actually picked this shirt up at Old Navy last week. I love the vintage look along with the soft fabric it’s printed on. Perhaps one of the more unique products that has come out is this series of Avengers cologne and perfume. I’m curious to know if the Black Widow perfume packs a punch! 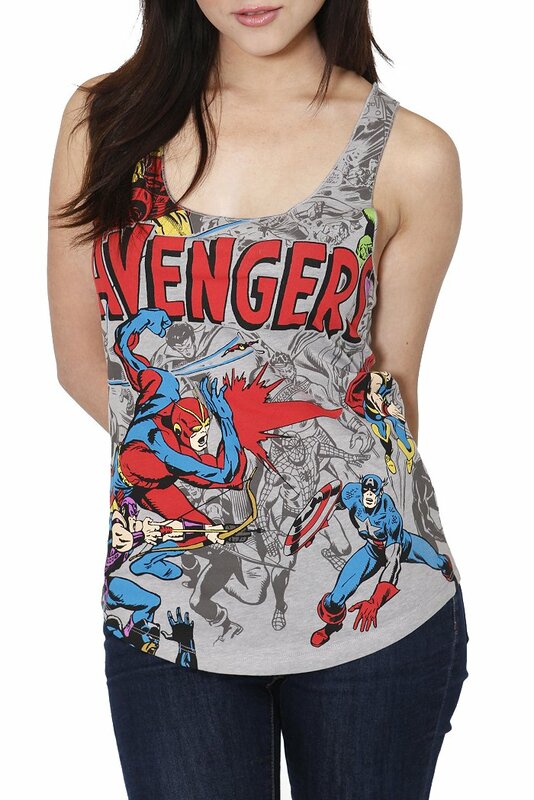 This tank is currently sold out, but we can hope that Hot Topic will make some more to show off our Avengers love. 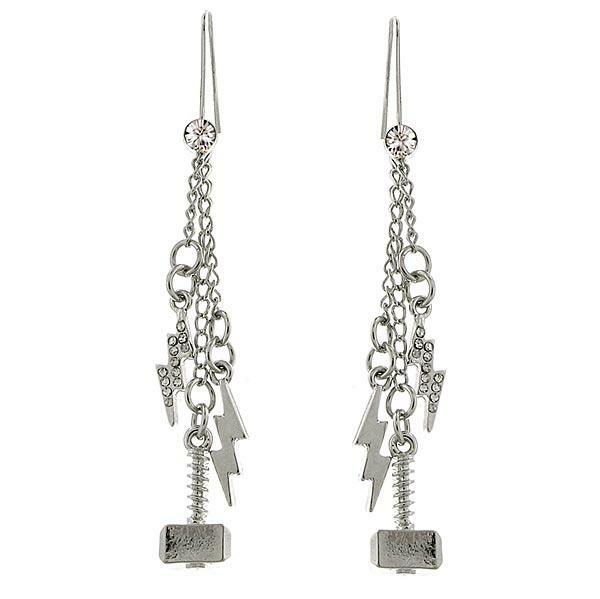 1928 Jewelry has partnered with Marvel to create some great jewelry pieces. 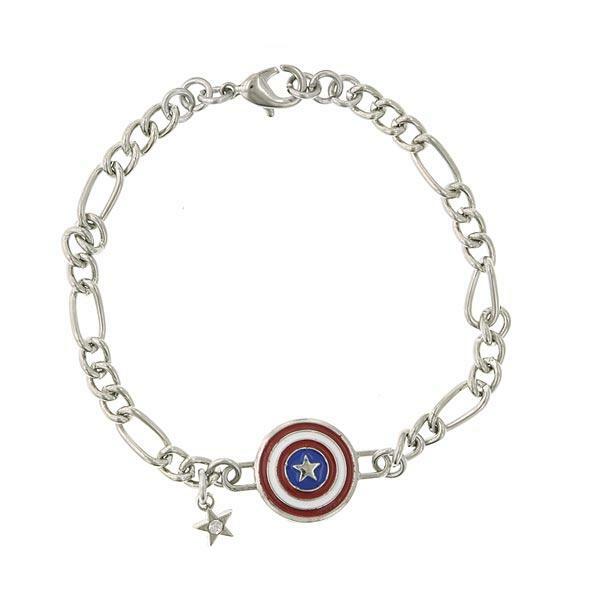 I’m especially liking the Thor earrings and Captain America shield bracelet. 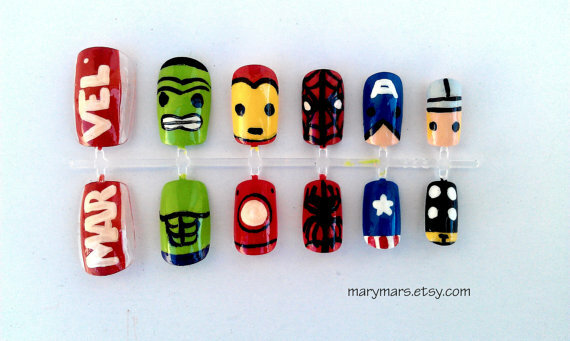 While definitely not an everyday look, it would be fun to sport some of these at a con or Avengers themed party. Jangsara has even started posting tutorials on how to recreate these looks. 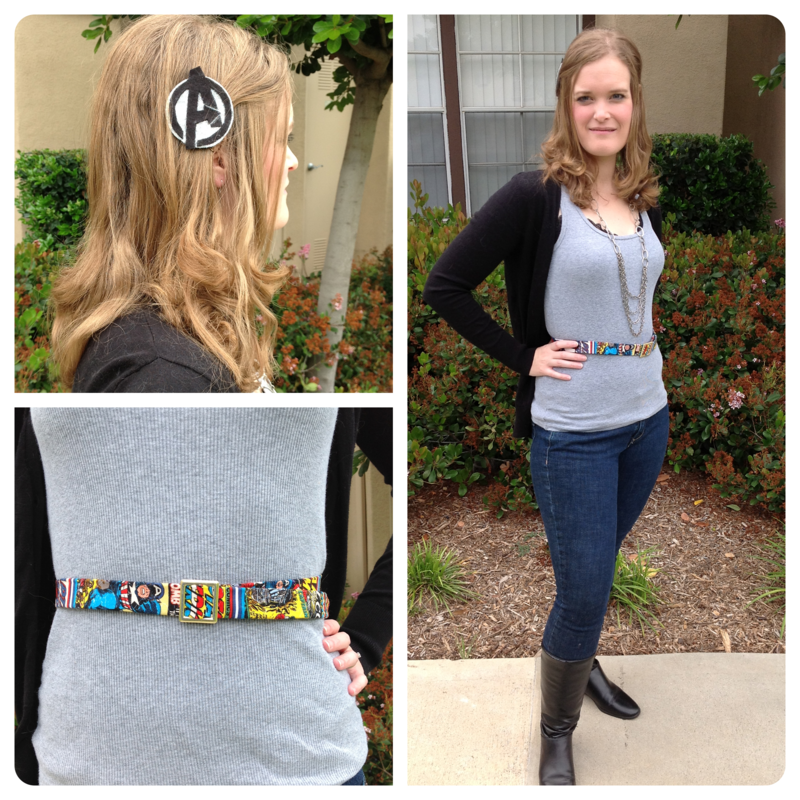 Lastly, here are the two items I put together, an Avengers hair decoration and a Captain America belt. Did you guys check out the midnight showing? 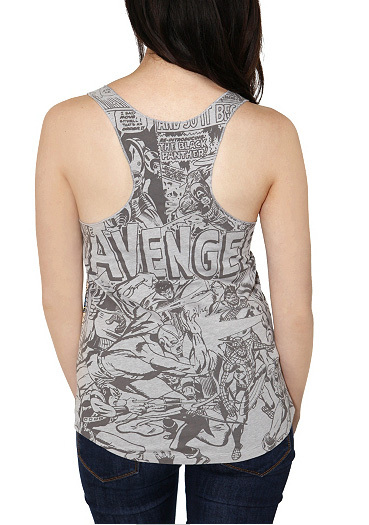 What Avengers accessories would you use to create an outfit? Have anything listed above? I would love to hear how you’re enjoying them.